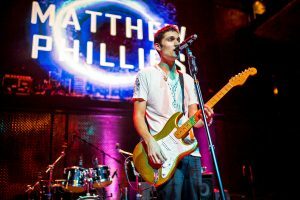 San Diego-based solo artist Matthew Phillips has years of national and international touring under his belt, as well as two original songs featured in major motion pictures. His debut studio album is currently in production, but truth be told, Matthew is at his absolute best during the live shows he performs. With hundreds of thousands of followers around the globe, Matthew says his goal in making music is to give hope to the hopeless and show love to those who are broken. Currently the guitarist and songwriter of Los Angeles-based band SPACETIME (Wormhole Rec.). 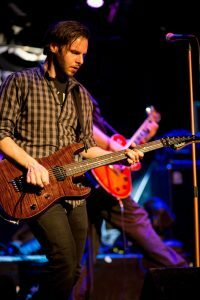 Tom’s professional music career began as a member of the band Graves, an alt. rock/punk band featuring former Misfits members Michale Graves and Dr. Chud. Upon the demise of Graves, Tom relocated to Los Angeles, CA, and joined PROFESSIONAL MURDER MUSIC (Geffen Rec.) as the band was recording its second LP, “Looking Through”. He has also recorded and/or performed with the following acts: Skumlove (EMP Label Group), Franklin Manor, Patrick Droney, Blackpool NYC. Tom also writes and records library music for film, television, and advertising. This site and all content Ⓒ 2019 by Function f(x), LLC.